President Trump’s lawyer Ty Cobb said in a statement: “Grand jury matters are typically secret. 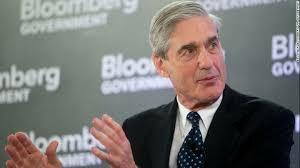 The White House favors anything that accelerates the conclusion of his work fairly.…The White House is committed to fully cooperating with Mr. Mueller.” The president, however, has repeatedly called Mueller’s investigation a “witch hunt” and has publicly called into question the former FBI chief’s credibility as an impartial investigator. Read more at the WALL STREET JOURNAL. Since Mueller hasn’t found a shred of evidence in the Russian witch hunt after all these months he’s hoping to accomplish it with a grand jury from Washington where 95% are liberals.